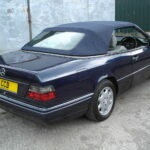 Azurite Blue metallic, blue power operated soft top with glass heated rear screen, Orion Grey leather, Sport Chassis, 5 speed automatic gearbox, cruise control, heated seats, wood and leather steering wheel, original Sportline badged leather gearknob, original Sportline exterior badging, driver and passenger airbags, front and rear armrests, central storage box, original Sportline 8 hole alloy wheels, Original Blaupunkt Canberra radio/cassette player, full service history, all with MB franchised dealers, supported by every old MOT certificate and many service/repair invoices, 3 owners, 81,000 miles. 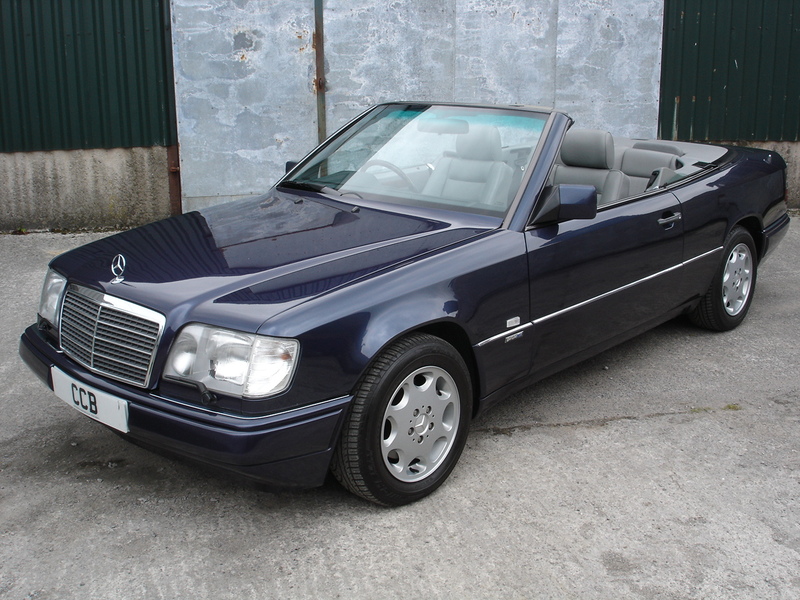 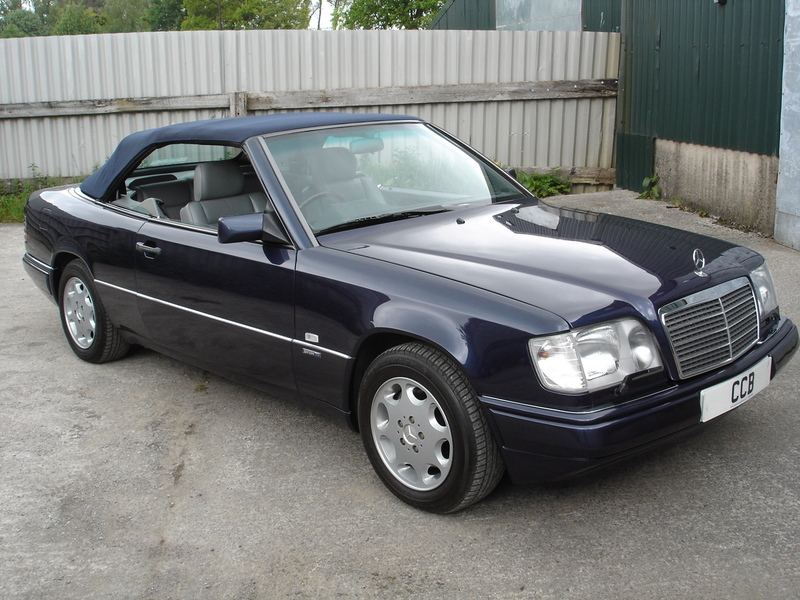 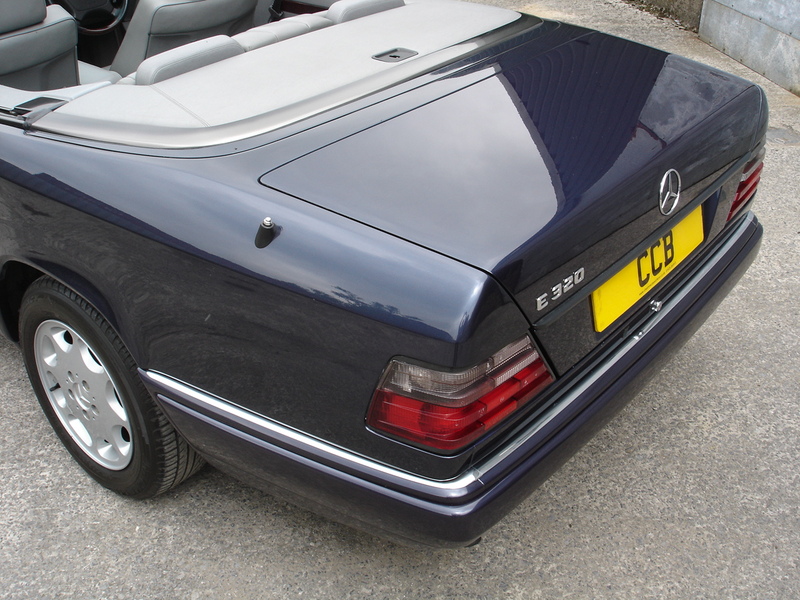 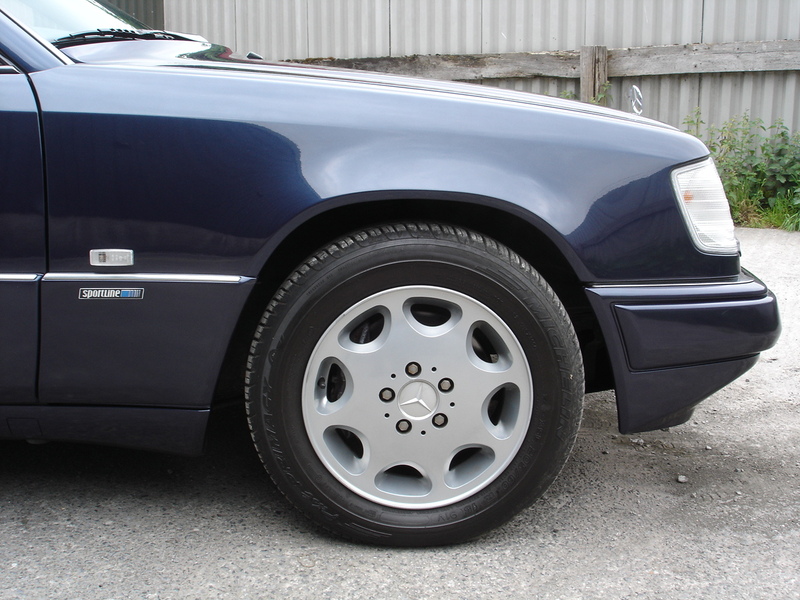 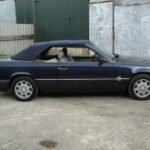 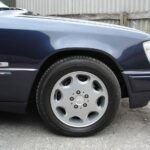 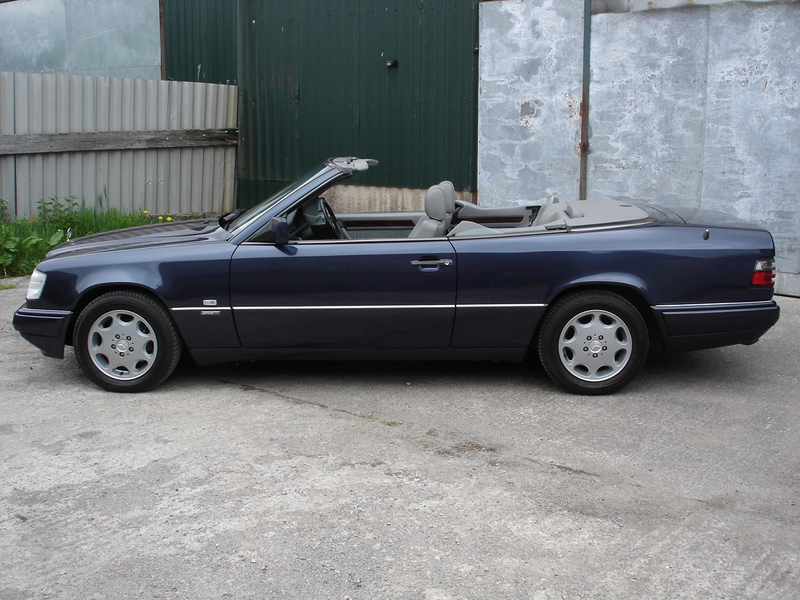 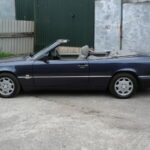 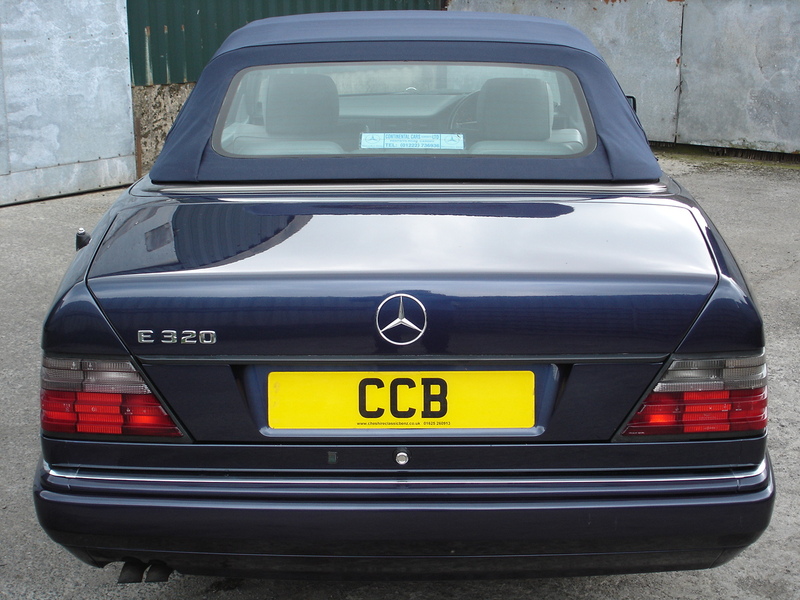 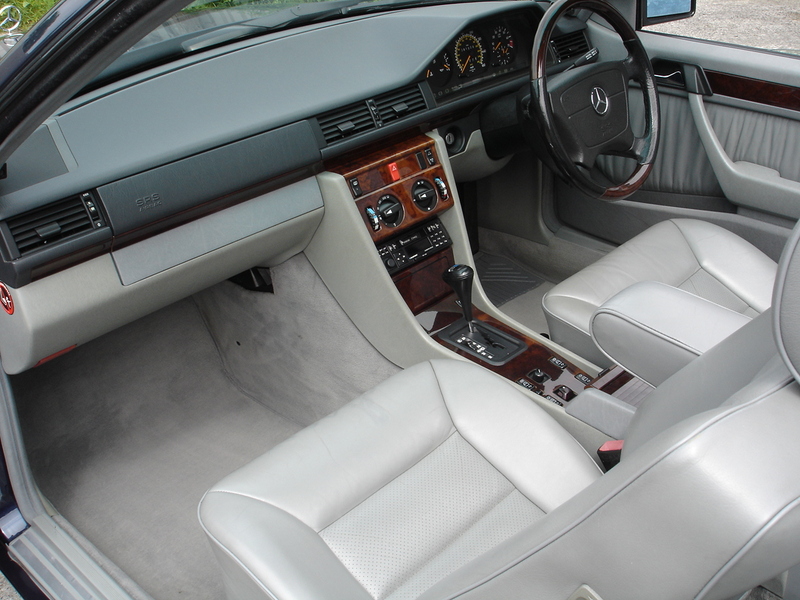 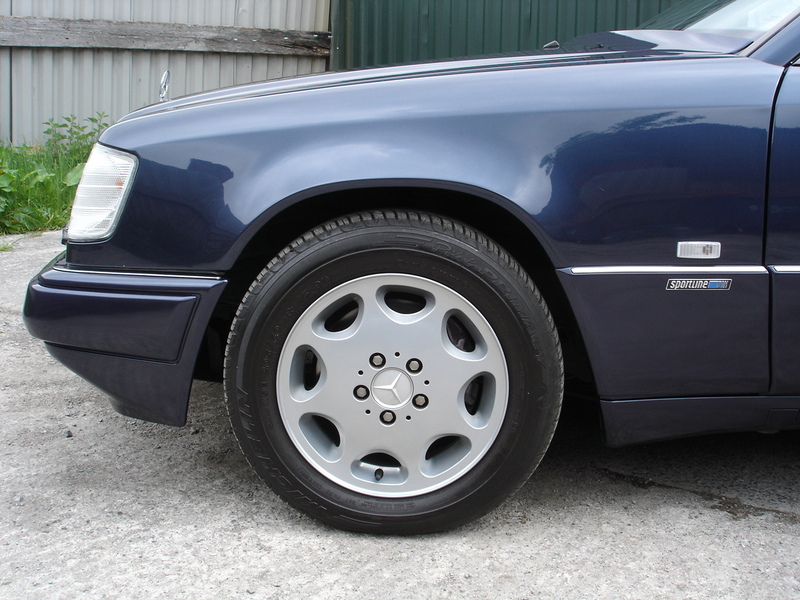 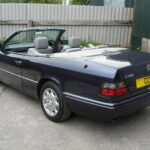 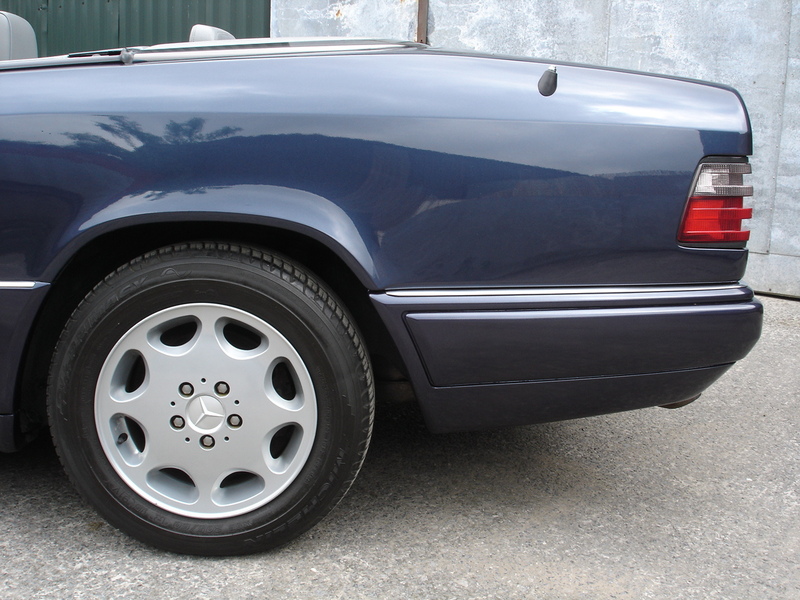 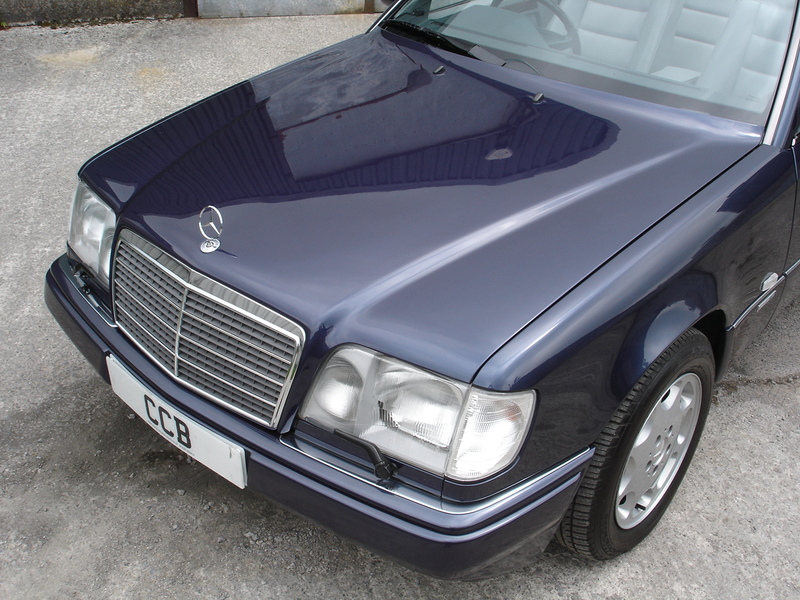 This is one of only 557 E320 cabriolets officially imported to the UK, and is even rarer than that statistic suggests by being one of the very few to be specified with the desirable Sportline option, comprising lowered and uprated springs, uprated dampers, roll bars and bushes, wider wheels and tyres, higher geared steering rack and special badging. 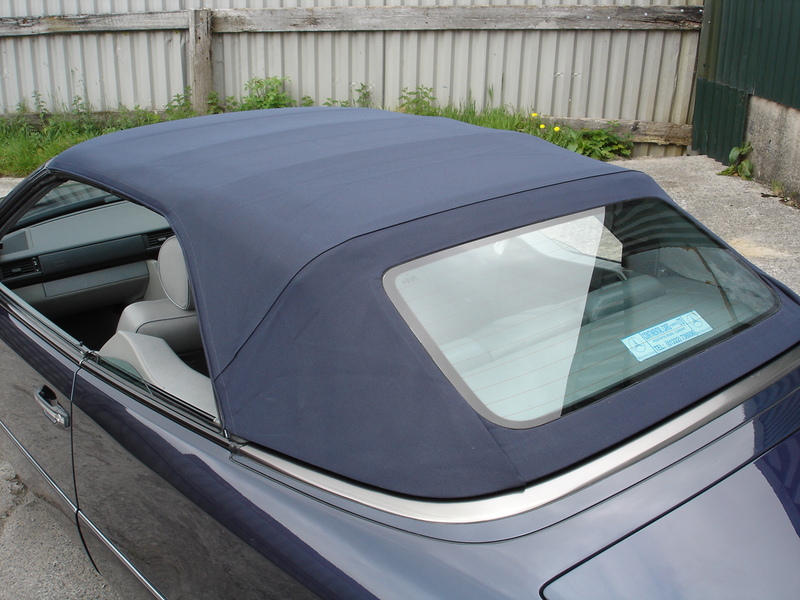 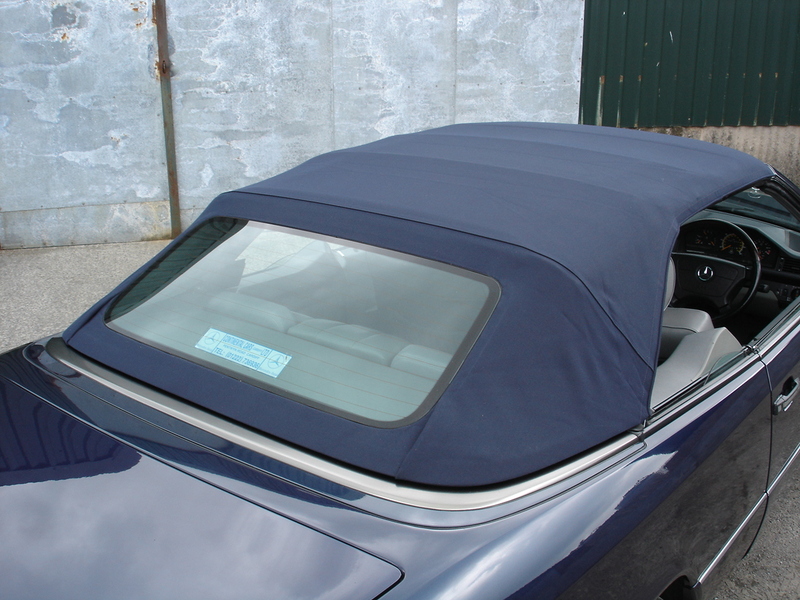 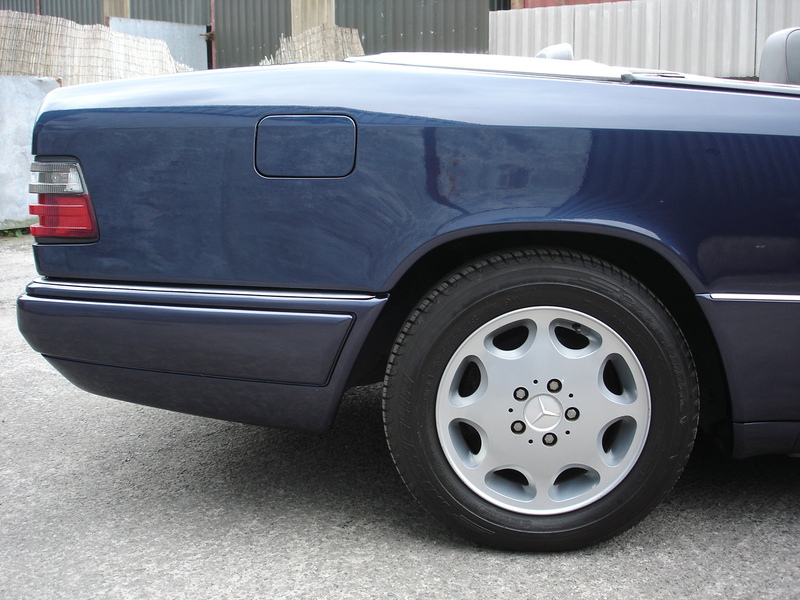 The metallic Azurite Blue paintwork is the colour we get asked for most on this model, and one can see why as it imparts a very elegant look to the car, especially with the subtle pale grey leather interior and blue soft top, which was recently renewed with an O.E. 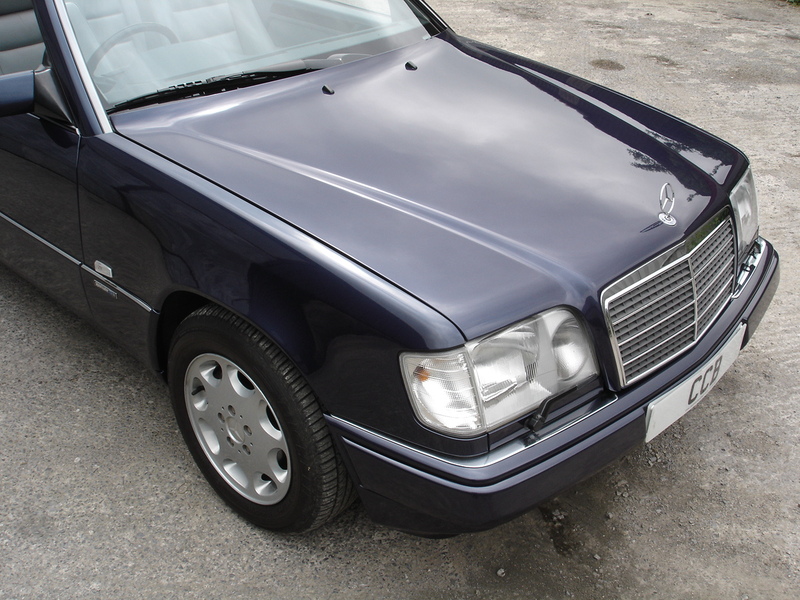 Quality replacement. 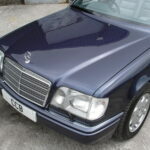 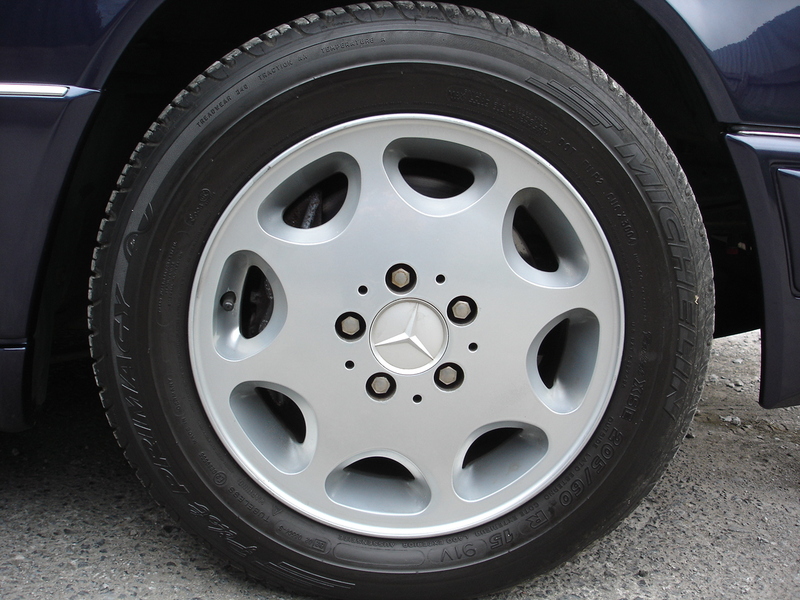 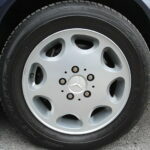 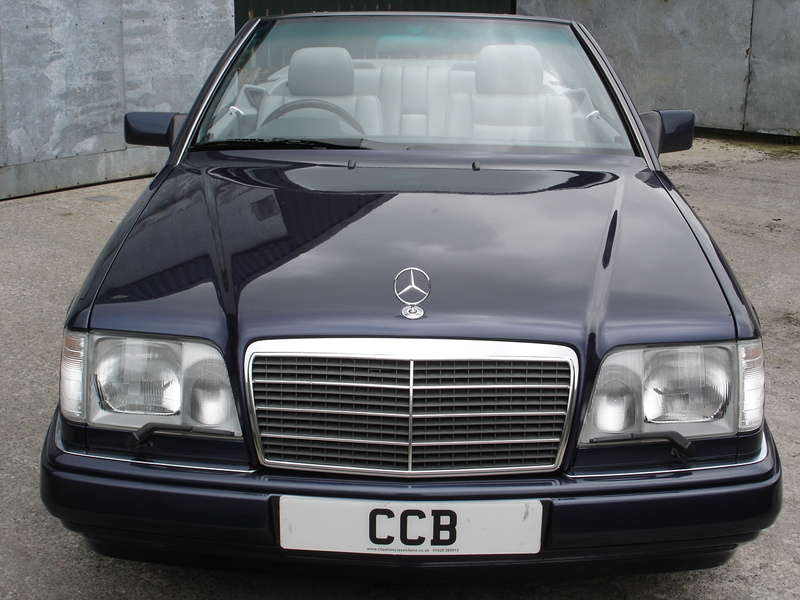 The car was supplied new by Continental Cars Mercedes-Benz of Cardiff in April 1996, the final year of production, to a local lady owner. 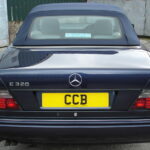 She kept it for nine years until June 2005, when it went to a doctor from Evesham, having covered around 74,000 miles under her stewardship. 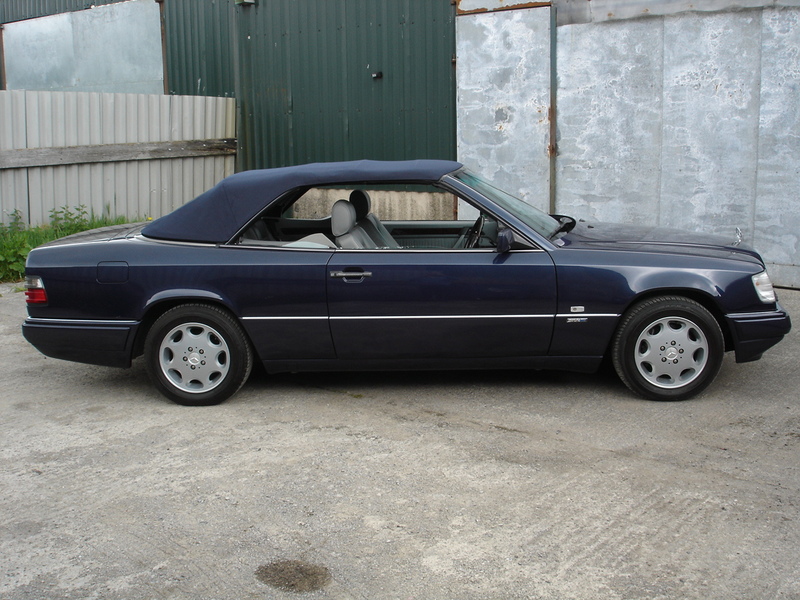 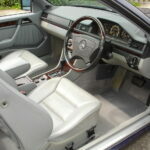 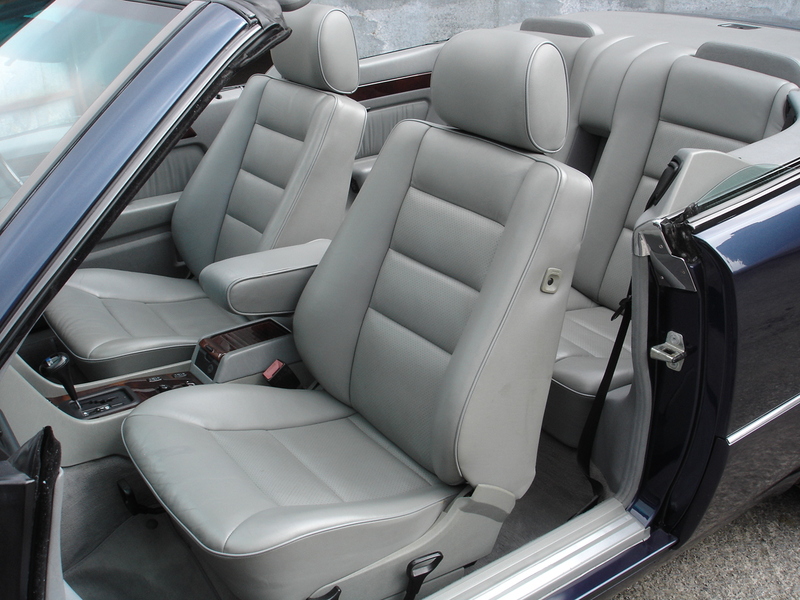 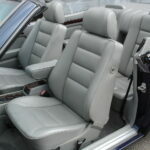 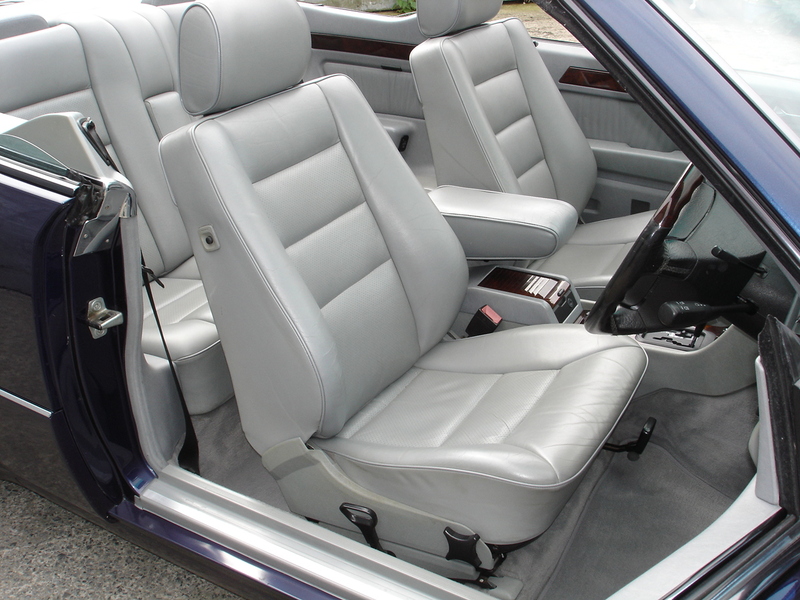 The second owner only kept it for a year, at which time it went to its latest owners, a husband and wife from Scarborough, as a “special occasion car”. 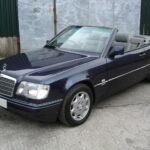 They have owned it for eleven years until now, but have only covered around 6,000 miles of high days and holidays motoring during that time. 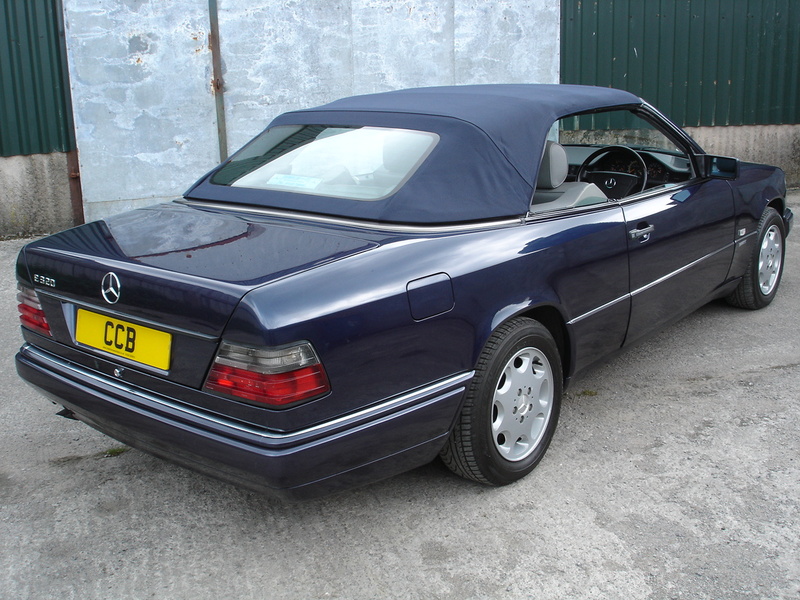 The service history is impeccable, with a total of 18 Mercedes-Benz dealer stamps in the service book, mostly at much less than the recommended 9,000 mile intervals and at an overall average of around half that. 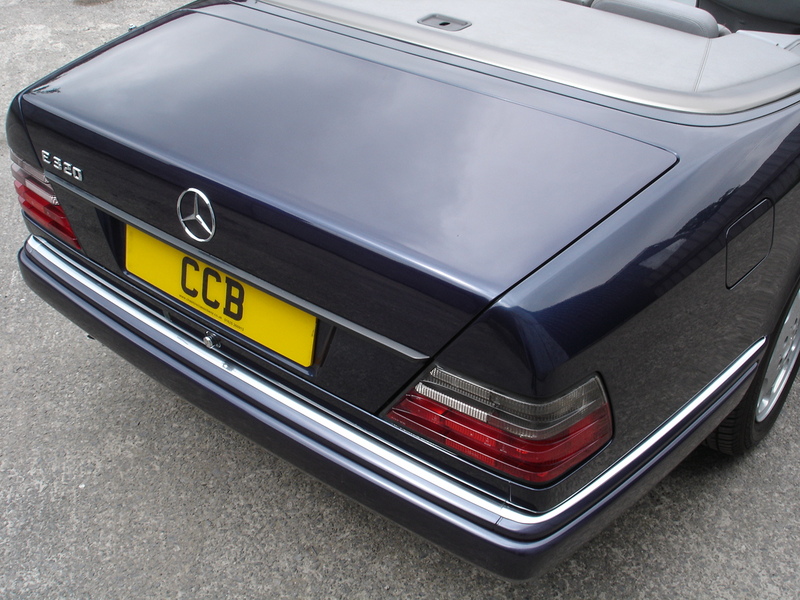 Ten stamps are from the supplying dealer and their successors, two from Mercedes-Benz of Scarborough and the remaining six from Mercedes-Benz of York. 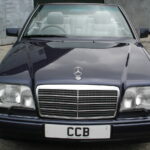 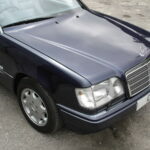 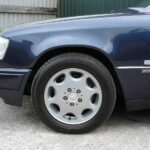 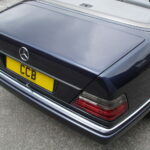 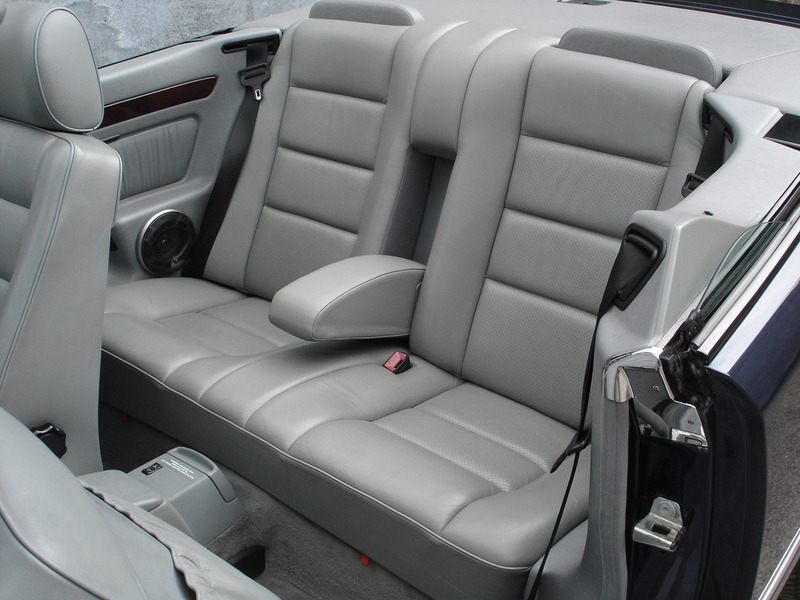 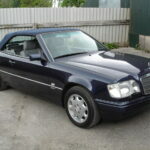 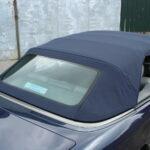 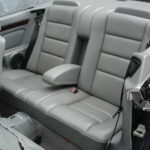 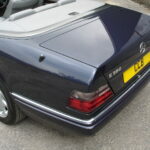 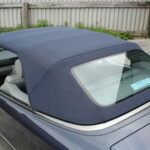 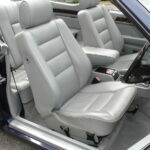 In addition we have every old MOT certificate and all service and maintenance invoices back to 2002. 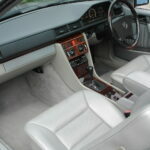 The physical condition is superb throughout, with all fixtures and fittings in full working order. 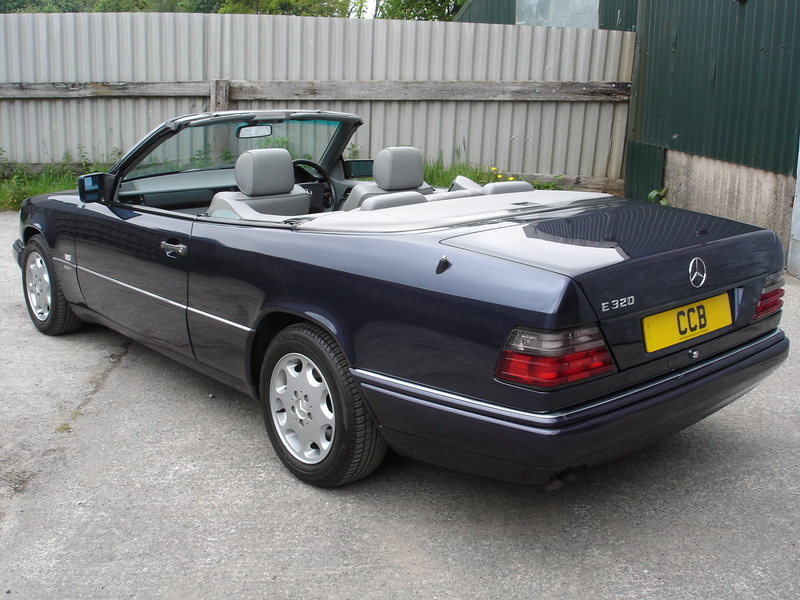 It drives beautifully and feels like a much younger car.